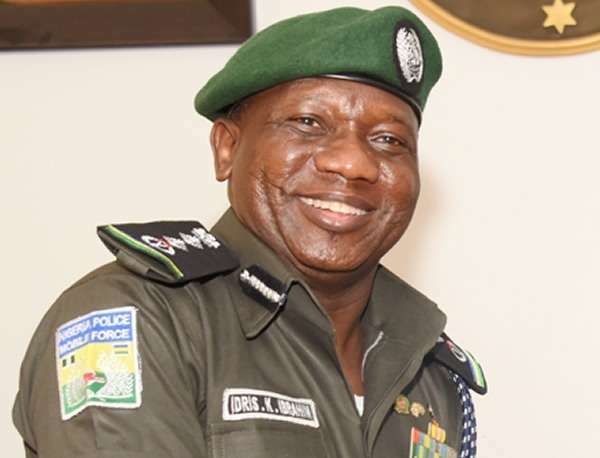 Police Spokesman Jimoh Moshood denied that Inspector General Ibrahim Idris ordered the raid, saying in a statement that the IG had ordered the detention of the four policemen who carried out the raid. The police insisted they were not aware of the action. Moshood said: “The attention of the Nigeria Police Force has been drawn to a report credited to one Henry Umoru claiming that the Police on Tuesday raided the Abuja residence of former Federal Commissioner for Information and South South Leader Chief Edwin Clark. The Force promised that the outcome of the investigation will be made public. It was learnt that the 91-year-old former federal commissioner (minister) was at home when the policemen came at about 12.30om in an 18-seater Hiace bus and a car marked EU 979 ABC. “I was in the house, in my bedroom when my boys came to inform me that there were policemen downstairs and in the parlour, I said what do they want, they said they came from Inspector- General of Police(IGP) Tactical Squad with a warrant and with their office in Guzape, So I said what do you want? “They said I was selling weapons in my house so that’s why they went to court to obtain a search warrant and they showed me the search warrant, I said, go ahead. So they went down, searched everywhere, my most important part of it, my secretary, Miss Dorothy Koko, was in the bank, they said they must see her bedroom and the office. So she had to come from the bank to open those rooms for them to search. They came up, searched my wife’s room, my children’s room, my other parlor upstairs and everywhere. “They didn’t find anything; they made a statement that theycame here with a warrant to search the house for ammunition, but they have searched the house, they found nothing and they themselves took away nothing. Three of my people signed it and three of them signed it. When asked if the search could be related to last week’s meeting of Elders and Leaders of various socio-cultural groups in the country, Chief Clark said, “I believe because of the various meetings we’ve been holding about the state of the nation, otherwise why would they expect me to keep ammunition in my house. No sensible man will think that a 92-year-old man in Abuja, will be keeping ammunition in his house to fight the government, overthrow the government, this is ridiculous, shameful. “I am not saying that people don’t keep arms, but I’m not that kind of person, I speak my mind on issues affecting this country, I believe in advocacy, I believe in peace. When our boys, calling themselves Avengers and so on, vandalised pipelines, I formed an organization known as Pan Niger Delta Forum, PANDEF to stop these boys and I led about 100 people including leaders, traditional rulers, everybody. “Since then, there have been peace in the Niger Delta, oil production has increased, is that why I should be treated like this, perhaps this is the time I should mention it that if has been the policy of the Presidency to congratulate Nigerians who have attained certain age, I attained the age of 91 on the 25th of May this year. “What I said earlier on was that I’m a man of peace, I believe in peaceful coexistence in this country, I have been doing everything possible to see that Nigeria remains one that’s why we’ve been forming various organisations to keep Nigeria together. I started PANDEF on the 19th of August 2016 to advice the youths who were vandalising pipelines, to stop them from vandalising pipelines. “Oil production in Nigeria which had gone down low to about 900 barrels per day has increased to over 2 million, everybody knows that. I have led meetings with Mr. President, with our people, I led a 100 traditional rulers, politicians, past governors to meet with the President on the 1st of November 2016, I was looking for peace, but nobody can stop me from speaking my mind or associating with people to see that there is good governance in this country. “It is dangerous to say where we are going, we are moving into a police state. What worries me is that those who are surrounding Mr. President, I do not think they wish him well with the way they are going, President Buhari is the President of the whole Nigeria, not one part of this country. I do not think with his greatest respect and having honored my late friend, Alhaji Maitama Sule, I do not think one police man whether IG would have gone to Kano to search his house, Why this type of discrimination, it is very unfair. “I will never, I said it is my top slogan that when you are 70 and above, you are at the Lounge, waiting for your boarding Pass, I would say I have gotten my Boarding pass, but God has delayed it, nobody can do me anything, I will speak my mind on anything that is unjust in this country, against injustice, against oppression, discrimination, religious bigotry, ethnicity anything that will affect the unity of this country, peace, peaceful existence of this country I will speak against it.